For example, one of my earliest notations was “show, don’t tell,” that bromide of creative writing workshops. At first, there is a tendency for the narrator to channel the characters’ inner thoughts, emotional reactions, and personal qualities directly to the reader: “Matt, Chuck learned, had definite opinions about everything—even things he’d only known about for a matter of seconds—and acted on those opinions unless someone could offer him a damn good reason he should not” (31). Explaining that Chuck will “roll over” like a dog in apparent submission, the narrator confides that “Chuck was an old hand at appearing to roll over. His mother had always said he was passive-aggressive. It took one to know one” (32). Some readers appreciate this kind of narratological help, others less so. For example, the interpersonal dynamics between two of the characters is observed by a third: “He could tell how badly the neuroscientist wanted to say no but knew how easily he let himself be railroaded by those with stronger personalities” (81). I’m sure that observation could have been delivered—possibly at greater length, admittedly—through putting the characters through their paces and letting the reader infer the dynamic. However, there are some emotionally colorful narrative interjections, such as when the neuroscientist reluctantly leaves his machine to take a break, “looking like a kid who was leaving his pet at an animal shelter” (82), truly an evocative touch. Also, I noticed myself being distracted less and less by this as the plot picks up pace and tension; perhaps the novelist’s art grew in the process of writing this first novel. The other aspect of “Golden Age Science Fiction” that I noticed is the Hard SF quality. The use of specific detail anchors the progression from accidental discoveries about brain waves to the development of a technology to direct the brain waves’ intentionality into real-world interfaces in a seamless progression. As someone who underwent electroencephalographic sessions a half century ago, I recall what one of the characters alludes to: “Remember when we did this with little inked needles and lo-o-ong pieces of gridded paper?” (2) The neurologist’s rejoinder to his lab assistant is, “No… and neither do you. No one’s used paper for a decade” (3). The use of the historical antecedents for the fictional technology in the novel, even if they have to be trotted out and discounted for the readers as above, registers with the reader’s mind as meticulous research connected to real-life technology. 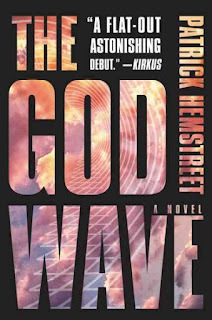 The research chronicled in The God Wave links the brain’s waves, as detected and measured through an electroencephalogram, with technology that manipulates real things according to those waves. While students at Drexel University at one point developed a linkup between a neurological measuring device and a video game, called “Lazybrains,” this is the first time I have seen such a principle presented in print, and Hemstreet takes the concept far beyond the manipulation of pixels on a computer screen. As foreshadowed through the interpersonal conflicts suggested above, there are many control issues that are evoked in the interrelations between the characters, with altruism posed against an aggressive business model, medical and other humanitarian applications of the technology vs. military ones, pragmatic vs. artistic uses, etc. All the way through the narrative’s development there is a totally credible description of the technologies being developed, as well as the personalities of various people on the Team, with an avid Gamer applying his skill to good advantage when push comes to shove. 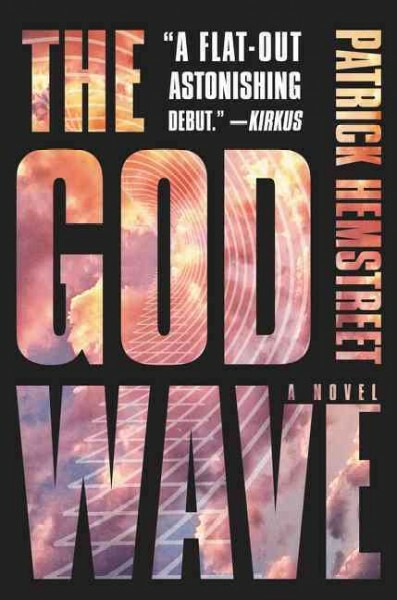 This is a rapidly moving, plot-driven novel with an underlying thematic focus on issues that are already significant in our increasingly technologized culture, but which would become crucial were the kind of technology imagined here allowed to develop (if it has not been already). Highly recommended.